Investigators frantically searching for missing New Hampshire girl Celina Cass lowered the level of a river today and searched by helicopter for any sign of the girl. At least 75 New Hampshire fish and game employees lowered the level of the Connecticut River, ABC Affiliate WMUR reported. "We're looking for any clues, any disturbed ground, anything that will aid us in the search," said Sgt. Brian Adams from New Hampshire Fish and Game to WMUR. Officials said that they have received 150 tips and this is still considered a missing persons case. 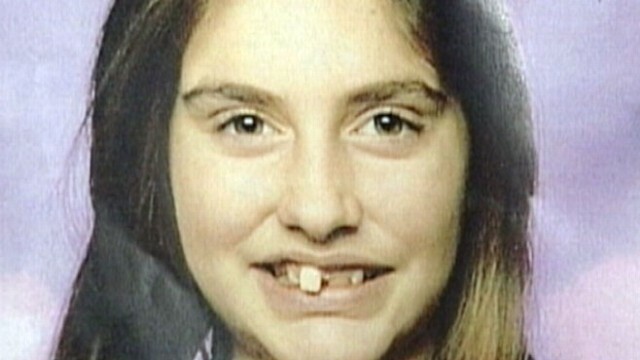 Celina, 11, was last seen Monday evening in her bedroom at her computer. Since then, more than 100 searchers including the FBI and the Royal Canadian Mounted Police have joined the search. Stewartstown, N.H., a community of 800 people, is just a mile Canada. New Hampshire authorities plan to talk to every person in the tiny town for clues about Celina Cass' whereabouts. "Every house, every individual in the neighborhood is being spoken to," New Hampshire Assistant Attorney General Jane Young said Thursday. "I can tell you actually what we have not learned and that is where is Celina Cass now," FBI investigator Kiernan Ramsey said Thursday. The front lawn of the home where Celina lived with her mother, stepfather and 13-year-old sister has turned into a shrine of sorts, with candles, stuffed animals and notes to the missing fifth grader. Community members outside the home are flagging down cars and handing out flyers with Celina's image. "It's a big world and she's a small girl and she's only 11. She doesn't know how to handle herself," said Stewartstown resident Shahannah Fuller. A family friend spoke for them Thursday. "Celina is a young girl who is afraid and needs to be home with her family and friends," said family friend Kirsten Lyons. "We are pleading with anyone that has information to please contact the police. No piece of information is too small and every detail is very important. Celina is missed very much. We love her and we miss her smile and want her home." ABC News' Elizabeth Smart, a survivor of abduction who was found nine months after being kidnapped, said that it's crucial that the family utilize the media in the search for their missing child. "The early hours of any abduction is so important. I certainly can understand their shyness in wanting to reserve their privacy. Enough cannot be done in bringing a child home…it might be the media that brought them home. That's what brought me home, because my parents kept my story alive," Smart said. Smart said that knowing that your family is doing everything possible to find you impacts a kidnapping victim. "From the victim's perspective, I remember hoping and praying that people would not give up…I remember hearing some people calling my name. It was just a couple of days after I was kidnapped and knowing that people were out looking for me, knowing that people care about me, it can make all the difference...That gave me hope," she said. The home where Celina disappeared from remains cordoned off with police tape. The family, along with the town, is being questioned by authorities. Smart said that as painful as it can be for the missing girl's family to be questioned by authorities, they must cooperate. "I don't think any person can fully realize the pain that a family goes through unless they have experienced the same thing and so I think everything needs to be taken with a grain salt and just think of their daughter and of bringing their daughter home and if that's going to cross them off the suspect list..then I think they need to think of her and what's best and of bringing her home." Brad Garrett, an ABC News consultant and a former FBI investigator, said that authorities typically start missing children's investigations by closely examining the family and then expand the investigation out. "All behavior in a family is relevant when you're looking for a missing child. And if you have a parent, for example someone that has a history of domestic abuse or domestic violence, I would want to know everything there is to know about that." Celina is 5-foot-5 and weighs 95 pounds, with long brown hair and hazel eyes and was last seen wearing a pink shirt, a pink pullover, blue shorts and shoes. If you have any information about Celina's whereabouts, call New Hamphsire State Police at 603-846-3333.